The Wallabies were thrown into disarray after players took women to their hotel rooms. 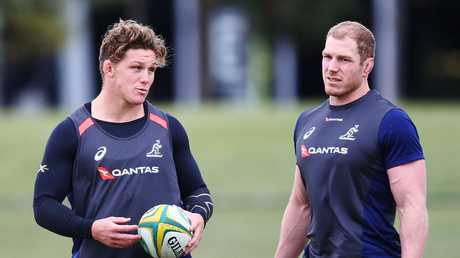 MICHAEL Hooper discovered that Kurtley Beale and Adam Ashley-Cooper had drinks and food with three women in their Cardiff hotel room two days before the Wallabies played Italy. This was five days after the breach of team rules occurred. The breach was also clouded by the fact one of the women was Ashley-Cooper's sister-in-law, and family members are allowed in team hotels. The team had already been picked for Italy - Ashley-Cooper was starting, Beale was on the bench - and Hooper decided that raising the issue so close before a must-win match would cause chaos. 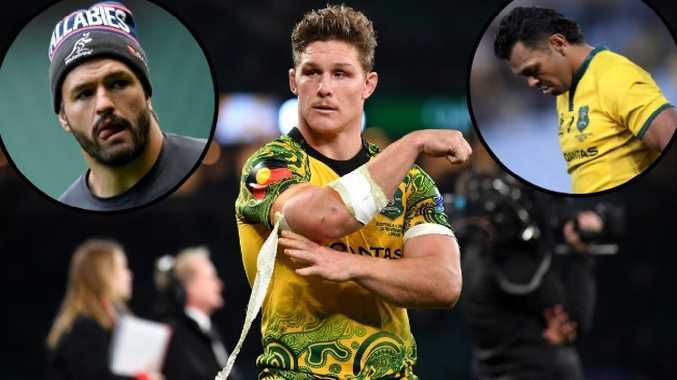 The Australian captain and his leadership group of David Pocock, Allan Alaalatoa, Samu Kerevi and Nick Phipps resolved to discuss the matter at their weekly leadership meeting the following Tuesday in London. The entire team had decided earlier this year to set a number of internal rules. Their results had been poor, Australian rugby fans were raging, and the players felt that if they are to be any chance of winning next year's World Cup, their internal standards have to be higher than any other team. One of the rules is jogging, never walking, to the water bottles at training. Another is being on time for the team bus; coach Michael Cheika was one minute late before a training session in Argentina so the bus left, forcing him to catch a taxi to the ground. Another of the rules was not having women in their hotel rooms on tour. 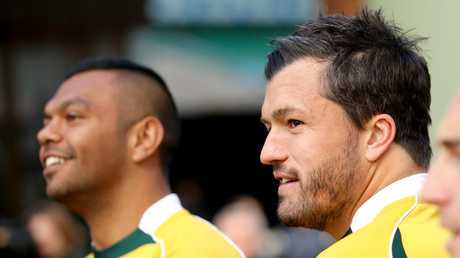 But the leadership group also knew the consequences of demanding action against Beale and Ashley-Cooper. 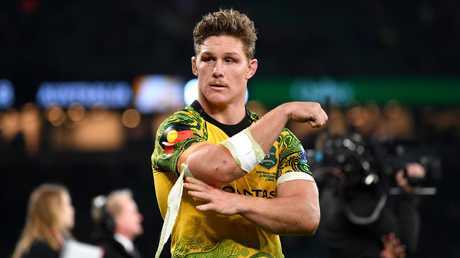 In the match against England, the Wallabies would wear their indigenous jersey for the second time, and the first time on foreign soil. What an occasion it would be for Beale, the team's only Aboriginal player, to run out onto the home of rugby, Twickenham, sporting a national jersey emblazoned with indigenous design that traces the heritage of his ancestors. The leadership team discussed the ramifications of this for Beale on Tuesday in their London hotel. Hooper and his senior team were torn; they'd be denying Beale and Aboriginal rugby fans an important, historic moment in his career, over a minor offence that they could let slide because technically one of the women was a player's relative. But they kept coming back to the same conclusion; if they did not sanction the pair, how could they take action if another player had a woman in the team room later in the tour? The precedent would have already been set. And they could not allow any dip in the standards they'd set themselves for the sole purpose of winning next year's World Cup. The Wallabies are not a team that can afford to go easy on grey-area issues; they're not the All Blacks or Ireland. If they are any chance at the World Cup, no stone can be left unturned to get the best out of every player. So Hooper, Pocock, Alaalatoa, Kerevi and Phipps went to coach Cheika and asked him to sanction Beale and Ashley-Cooper. Cheika called the pair for a meeting, got their version of events, and told them he would not consider them for selection against England. 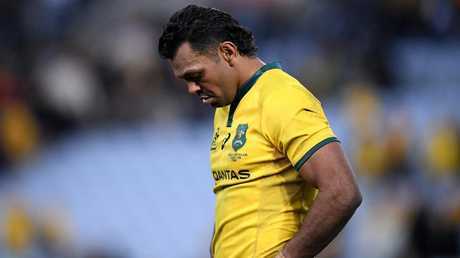 He rang Rugby Australia chief executive Raelene Castle and she supported his decision. Senior officials in the head office thought it was an extremely harsh call, but they backed the leadership group's conviction in living up to their own internal standards. Cheika and Castle decided to keep the sanction from the public, not wanting to ridicule Beale and Ashley-Cooper over an internal team rule that did not breach any official code of conduct or require the involvement of the integrity unit. But Castle was adamant that if the story leaked, they would be transparent about every detail, including the number of women, and that they'd drank some wine and ordered room service. This would be particularly important if, as is the case, people speculated something more untoward happened that night and some shock revelation would later emerge that would bring down Castle, Cheika and others. 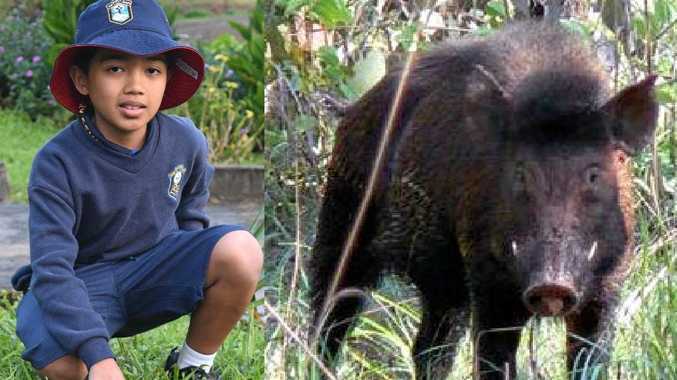 This is the worst Wallabies team of the professional era. But in taking the harsh stance of dropping two players for the biggest match of the spring tour, no matter how the World Cup campaign unfolds, they won't be looking back wondering what if.